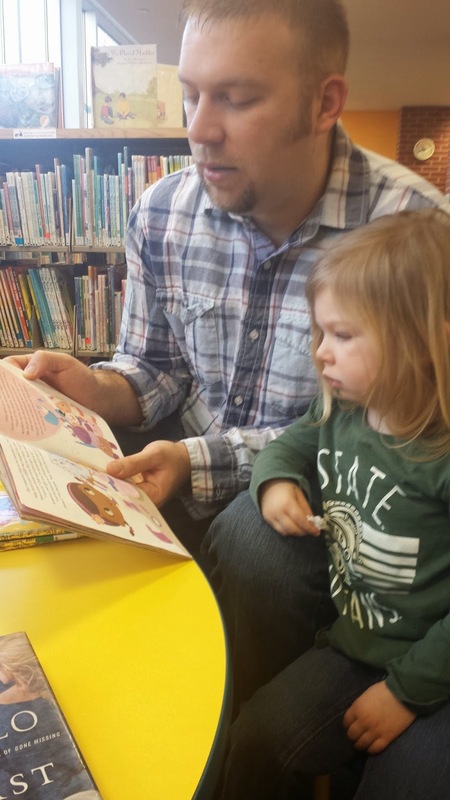 Today I am sharing a post from KJ Steele, the author of The Bird Box that comes out today! When a dead man speaks people listen. There is just something compelling about a voice that reaches out to us from beyond the grave. I’m not referring to spooks here, but rather to mankind’s phenomenal ability to impress ourselves onto the fabric of this world even long after the physical self has departed. Music, literature, art, etc., are some of the common daily communications we have with the dead. The emotive essence lingers on. But for one fragment of society their voices came forward in a much humbler way. 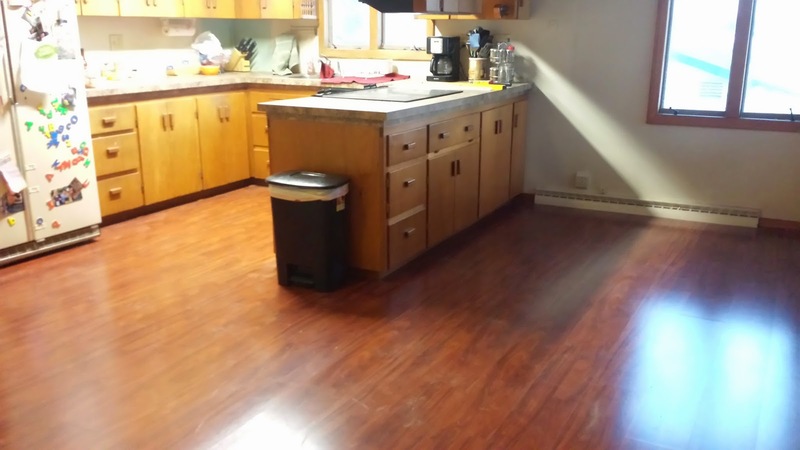 When I set out to write my novel The Bird Box I spent some time on the grounds and in the buildings of a former insane asylum. Although the physical location was beautiful it was best described as a melancholy beauty. The memory of the former patients lingered. I began to wonder about them. Not as patients but as people. Who were they? Before and during their committal’s? What had their lives been like? Their childhoods? Had they flown kites? Liked kittens? Plums? Had they been bold and adventurous or shy and cautious? What had formed their hopes and dreams and secret fears? I went to the Mental Health Archives in search of answers. I found none. Researching patient files was often heartbreaking. Not so much by what was written there, but by the lack thereof. After the initial admittance notes there was very little new information. Staff were busy and it was not uncommon to have whole lives –40–50–60– years condensed down to a few brief notes. The brevity of it haunted me. Not that I blamed the staff. Their hands were more than full with practical matters. But still, it felt inhumane to me that whole lives had been pared down to a few paltry lines. I wanted to know who these people were. Above and beyond the narrow label of psychiatric patient. I was soon to find out. Their voices began a torrent of stories into my mind. They demanded a place on my page. They had stories to tell; lives and loves, laughter and tears. They too had experienced great joys and devastating loss. They had suffered deeply as well and yet none of these things fully defined them. Synchronistically, as I was writing their stories I was sent a link to Jon Crispin’s stunningly evocative photographs of the Willard Asylum Suitcases. Jon’s photographs visually dovetailed so perfectly with my written efforts to portray the person behind the label of psychiatric patient that I knew immediately I had to travel to the exhibit The Changing Face of What is Normal in San Francisco to further explore his work. What followed was an astounding opportunity to speak with the dead. Or rather – listen. Displayed alongside some of Jon’s photographs were the original suitcases and their contents. Each suitcase, no matter how carefully or haphazardly it had been packed for that initial trip to the asylum, spoke volumes to me. Each one was a virtual time-capsule illuminating the individuality of its owner. Bibles and poetry books, family pictures, lotions, musical instruments, detailed diaries, loving letters. Objects as seemingly disparate from one another as mending kits and (in one case) a small hand-gun. Items that symbolically spoke of the desperate need to either mend or end the suffering. Few people in our society’s history have been so reviled and disenfranchised as the mentally ill. Our discomfort and fear of those we could not understand or control led to some less than glorious years. Those committed to the care of an asylum were in some ways excommunicated from the rest of humanity. They were held in institutions where their sense of autonomy was met with resistance. Their personal mail was opened and relieved of any unsettling or dissenting content. Their objections were routinely overruled. Not only did they become powerless they became voiceless as well. Obviously it was far easier to silence people back then in an age before today’s instant and ubiquitous technology. Problematic dissenters were easier to erase; sometimes permanently. And sometimes not so permanently as evidenced with the Willard suitcases. The contents of the suitcases serve to form an intimate choir of ghostly voices. They speak of each person’s individuality. Of their uniqueness. Some of them give evidence of seemingly competent minds while others show an obviously distorted grip on reality. Mental illness can be frightening. Perhaps to no one more so than to the person caught within its shifting shadows. The people who filled the wards of the former insane asylums were as individual as they were unique. To paint them all the same would be but an erroneous reverse stroke of history. The contents of the suitcases they left behind now speak formidably for these long dead patients. I have listened to their stories and endeavored to capture the echo of their hearts and minds in my novel The Bird Box. These were people who contributed to the diversity of life. And their lives mattered. Here is the description of The Bird Box: Society said they were insane, and in 1954, that was enough to put someone away in an asylum and separate them from the world. Even here, though, it was possible for souls to flourish. Jakie was one such soul. He was all but lost until he met the girl. She is locked away in a cellar room, but he can feel her presence by imagining he is a small bird visiting her through a hole he has made in a stone wall. He spends hours whistling a cardinal's song to her and she learns to whistle it back to him. She doesn't even know that Jakie exists, only the bird, but their communication is changing her. And the overwhelming, protective love that Jakie feels for the girl will compel him to find more of himself than he ever knew there was – and through this, he will alter their worlds profoundly. A remarkable exploration of the spirit, a sharp indictment of our blindness to what makes us human, and an unforgettable portrait of the power of the will, The Bird Box will move you in ways you never anticipated. Have you ever visited a former mental institution? Did you ever have older relatives tell stories about people going to them? This week flew by. It helped that I only had students 3 days this week. ;) Lots of paperwork aka computer work though to finalize and plan for home visits. Isla came home from school and told me SURPRISE! 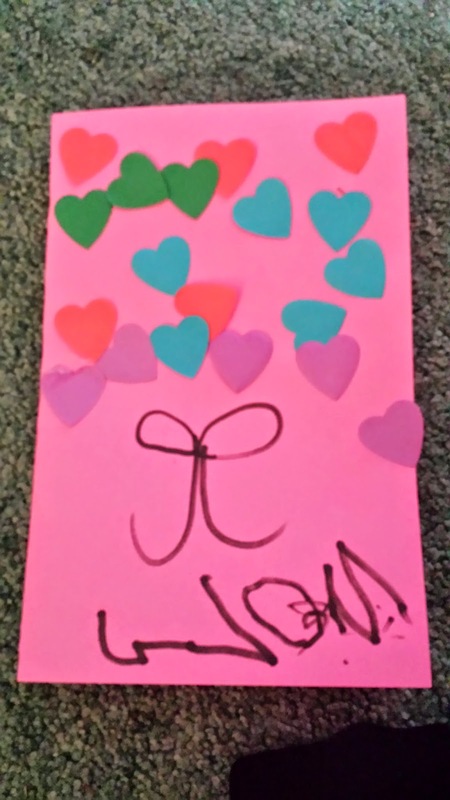 I made you a card today at school. ;) I love that she wrote mom on there!!!! Low of the week: Workkkkkkkkkkkkkkkk. Thursday - 110 squats I was supposed to do Wednesday and then I tried a Zumba for dummies youtube video and umm yeah.. no so I ended up doing the 1 mile express Walk away the pounds with Leslie Sansone on YouTube and then I did 1.11 miles on the treadmill in between my squats..
Saturday - I am doing 125 squats and I found an ab/thigh/buns YouTube video I am going to try..
Best Money I Spent: Probably my new workout clothes that were on sale at JcPenny and the new makeup I got at Target. Plans for the Weekend: Dinner and basketball game with family on Friday, my dad and hubby are doing some plumbing work on Saturday and I think the plan is still on for us to do pot roast and mashed potatoes for dinner and Sunday I have a benefit dinner for a family friend that I need to make a salad for and we may go to but it is during nap so I think I will just purchase the tickets. Meal planning and workout planning will happen as well. What books did you read? What workouts did you do? Do you use YouTube for workouts? Wow, I've read a lot of good books so far this year. 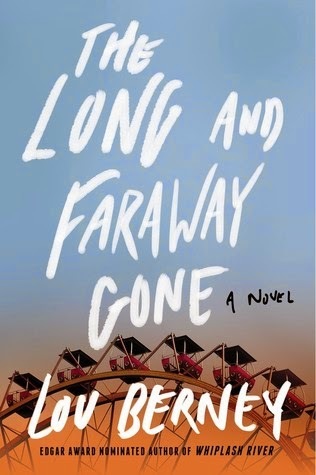 The Long and Faraway Gone by Lou Berney did not disappoint. I flew through this book over the course of the weekend. It hooked me right from the start, but I was the idiot who started it at 11:30 on a Friday night. Why do I do that? The book mostly switches between the perspective of Wyatt and Julianna and their present day issues with their past with occasional flashbacks to the summer of 1986 when both of their lives were forever changed. I loved both characters but probably liked Wyatt a bit more. Wyatt is a PI who has spent his adult life moving from one city to the next and quite the smooth talker. He ends up back in his hometown of Oklahoma City for his job. A client sends him to help Candace the new owner of a club who is being harassed. Being back in the town pushes Wyatt to look into the robbery which left 6 of his coworkers dead. He constantly wonders, why is he still here? Why him? Julianna is a nurse and still desperately wants to know what happened to her sister who disappeared many years earlier, before cell phones and digital cameras when it made it easier to track a person. She is close to the detective in charge of her sister's cold case and does some detecting over her own. Only issues, were a few parts where the wrong character name was used and a mix up when one character said it was a weekend and then another called it a week night. The mystery is good and keeps you on your toes. I would like to say as a serial reader of mystery and suspense I had suspicions on how it was going to play out and besides one true surprise I was correct in my guesses. I'd totally pick up another book by him again and recommend it! Do you ever wonder why certain things happen to you? Ever had your view of a past event or image of a friend completely changed? Dos you ever wonder how many missing person cases would be different with new technology? I received this book from TLC Book Tours, all thoughts and opinions are my own. Wahooo. First week of February done, one week closer to the first week of JUNE! I'm a copier and wanted to participate in this when I saw a few others including Amber doing this and I think this is the first time I've gotten myself around to make it happen. Low of the week - Wednesday was a no good, very bad day. I was hoping for a snow day, but I didn't get one. My kid moved slower than slow out the door. We left the house 10 minutes late and the roads were bad. I had to work. Just little thing after little thing pissed me off. I really could not get myself out of the funk. Books I read - The All Girl's Filling Station Last Reunion by Fannie Flagg which turned out to be an awesome book that tied in some WWII stateside women history with a time period flip between then and now which I think would appeal to Sarah Jio lovers. Workouts - Sunday I began my squat challenge so I did 50 squats while I watched the Super Bowl. Monday I did 2.26 miles on the treadmill and 60 squats. Tuesday I did 2.3 miles on the treadmill and 65 squats. Wednesday I did 1.2 miles on the treadmill, 100 crunches, 90 jumping jacks, 10 lunges per leg, 70 squats, 20 second plank, 40 jumping jacks, 20 high knees per leg and 1 measly push up. Thursday I did my 70 squats, did half of the 30 day shred before my laptop died on me, booooo and did 1.5 miles on the treadmill. Tonight I plan on doing about 2 miles on the treadmill and maybe a workout DVD depends on lap top battery and what not. What workouts did you do this week? Read any good books? A few weeks ago I popped into the library with Isla one night and I was looking for the newest Linda Castillo book. Sadly, it wasn't in but as we were walking by a display The All Girl Filling Station's Last Reunion by Fannie Flagg stuck out and I grabbed it. Description: Mrs. Sookie Poole of Point Clear, Alabama, has just married off the last of her daughters and is looking forward to relaxing and perhaps traveling with her husband, Earle. The only thing left to contend with is her mother, the formidable Lenore Simmons Krackenberry. Lenore may be a lot of fun for other people, but is, for the most part, an overbearing presence for her daughter. Then one day, quite by accident, Sookie discovers a secret about her mother's past that knocks her for a loop and suddenly calls into question everything she ever thought she knew about herself, her family, and her future. Sookie begins a search for answers that takes her to California, the Midwest, and back in time, to the 1940s, when an irrepressible woman named Fritzi takes on the job of running her family's filling station. Soon truck drivers are changing their routes to fill up atU the All-Girl Filling Station. Then, Fritzi sees an opportunity for an even more groundbreaking adventure. As Sookie learns about the adventures of the girls at the All-Girl Filling Station, she finds herself with new inspiration for her own life. Oh man did I have some flashbacks to Steel Magnolias as I read. This is hilarious, serious, intriguing all in one. It switches between Fritzi in the 1930s-1940s and present day Sookie. It slowly reveals the family history of both women and how they connect. It really reminded me of a Sarah Jio book with how it flipped back and forth from present day to the past and uncovered a secret. The humor was well timed and not out of place at all. I also learned more about women's roles in our military during WWII that I didn't before. When I read Code Name Verity I learned about women in England and their role and this told about our women pilots. It led me to googling and learning all tons of information. What books have you read about women and their roles in WWII? Do you like books that change narrators/time periods? Loving: playing games with my kiddo, sharing books, and working out with her. She's been quite the fun playmate lately and I really love watching her grow into the little person she is becoming. 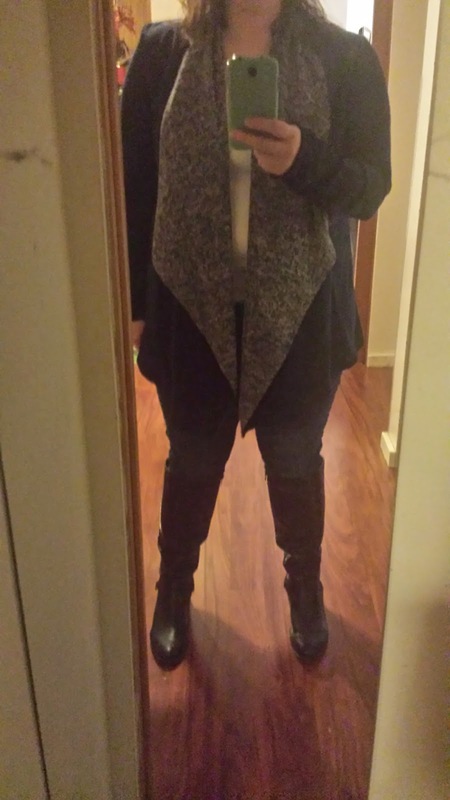 Also, this Benfield Heathered Drape Front Cardigan from my last Stitch Fix, bad picture but AWESOME cardigan. Feeling: a lot more focused than I was before I started the mileaday challenge. I need some sweat time. Anticipating: Our quick family trip over spring break down to Saugatuck. Can't wait to check out their brewery. Also, all of our summer camping adventures we are plotting. Watching: Revenge. Every time I think I may be over it and let a bunch of episodes pile up I get hooked again! Sad: I miss my grandma. I started crying Thursday on my way to pick up Isla because I really wanted to call her. Wishing: I lived on the ocean. What are you reading, watching or wishing? Oh my goodness, I LOVED The Last Bridge by Teri Coyne. It was one of those that when you are done, you don't want to be done. You want about 20 more chapters in the character's lives. Especially when it ends with them starting something you want to see finished!!! And equally as sad is finding out this is the only book by the author so you can't even jump into another one right away. Description: For ten years, Alexandra “Cat” Rucker has been on the run from her past. With an endless supply of bourbon and a series of meaningless jobs, Cat is struggling to forget her Ohio hometown and the rural farmhouse she once called home. But a sudden call from an old neighbor forces Cat to return to the home and family she never intended to see again. It seems that Cat’s mother is dead. Oh my word. You just need to read it. I don't know how much to say without unraveling the threads that are dropped into the story as you go. It hooked me right away and I may have stayed in my bed and let my kid lay next to me and watch far too much Disney Junior so I could read it in one day, it was that good. It does touch on some sensitive subjects so if sexual abuse, substance abuse or suicide are triggers you may not want to read it but I found it a fast and engaging read. I just want you to all go read and it come back and discuss because our Books & Bars convo wasn't enough for me. What was the last book that you ignored life to finish? What is your current go to book to recommend? I know I slacked on my weekly updates but I did want to do one final post to share that I COMPLETED THE CHALLENGE! One mile a day at least for the month of January! The hardest mile: THE FIRST one of every workout. Let's just say that after 31 days of walk/running I am so over the treadmill. All but 3 of my days were on the treadmill. I've listened to a lot of Pandora, watched 2 episodes of Revenge, 1 play off football game and read many facebook status updates. Sadly, I can't say that I ever did manage to run a straight mile but I did run for 5 straight minutes at one point. For some reason my body just really wants to run in increments. I spent a lot of time doing run 1/walk 1 or run 2/walk 1 combinations. I also think I'd have a different result on the treadmill. I loosely followed one week of the Couch to 5k which was like a week 3 or 4 and that seemed just right at the time but I really think for me to run on the treadmill I need to do a lot of random change ups via speed and inclines. I played a lot of games too. Like I will run for 30 seconds then walk for the 30 seconds and then run 2 tenths of a mile and then do the 30 second again. I did appreciate that it helped me move my body a lot more than I have in recent months and I did notice some changes. Sadly, I only lost 1 pound. At one point I had lost 3 pounds but then my travel for work and bad eating that week kinda derailed me. I could see the correlation with my better eating during the week and the effects of bad eating over the weekend. Plus, my fitbit has helped me track my activity and it is eye opening how much I move during the week and then not at all on the weekend. I have been not as exhausted on a nightly basis (have not noticed a morning change on this end) so that's good. A lot of times we worked out as a family so as I was on the treadmill the other two were doing things or playing next to me so I didn't miss out on kid time and didn't have to use my 'free time' after bed time. I only woke up early twice to work out when I had plans at night. I spent two late Friday nights on the treadmill hurrying up to get in my mile and steps (WHO AM I???). 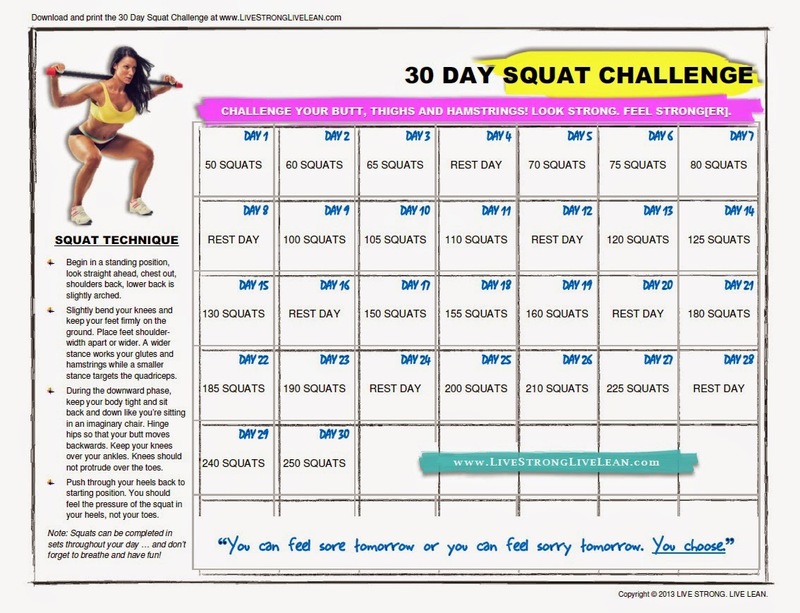 For February I am doing a squat challenge. So, squats, trying out new workout classes, some 30 day shred, and more time on the treadmill are in store for February. I think I will look at it on a week by week basis to figure out which workouts I'm going to do on which day and to fit around the squat challenge but I don't want to give up the endurance I gained this month and want to keep tracking my mileage in my lovely google doc. So I will be setting down with my planner and figuring it out on this snowy afternoon.